Valerie Traore has been the CEO of the organization and a Sicklerville resident for 12 years. Valerie Traore, Food Bank of South Jersey CEO, sits at her desk at the facility’s headquarters in Pennsauken. Valerie Traore knew at a young age she wanted to have her life centered on improving the lives of others. Her mother struggled with alcohol and was absent from her and her five siblings lives, as was her father. It was those years growing up in Maryland that Traore realized how dire of a situation her and her siblings were in. Her mother died when she was 7 and her grandparents took in her and her siblings in. Six months later, her grandfather died, and her grandmother was a single parents to five kids. 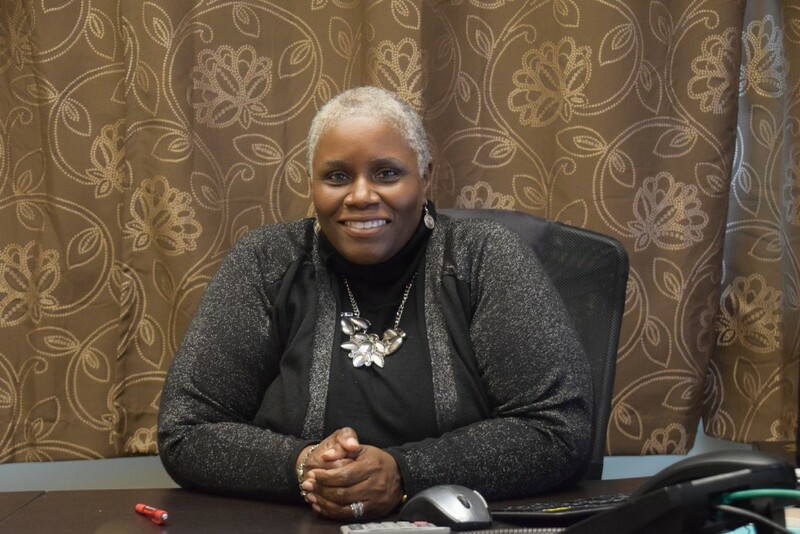 Knowing what it was like to not have food on the table, Traore’s mission as CEO of the Food Bank of South Jersey is to make sure no child goes hungry, and she has pursued that goal throughout her career. She’s been in the food banking industry for 25 years and has worked in cities such as Baltimore, Chicago and New York before coming to the Food Bank of South Jersey in 2009. The Food Bank provides food to people in Camden, Burlington, Gloucester and Salem counties. Traore said there are about 200,000 people who are not sure where their next meal is coming from. The Food Bank of South Jersey takes the surplus from the food industry — manufacturers, wholesalers and the government. “We bring that food into our distribution center and then distribute it to about 250 food pantries, meal kitchens, after-school programs and senior programs who provide that to people in need in their community,” Traore said. The amount of surplus food is about 12 million pounds. To put that into perspective, Traore gave a visual. “If you went to Lincoln Financial Field, take a Trader Joe’s grocery bag, fill it to the rim and put that in every seat, do that about seven times and visually that’s what close to 12 million pounds looks like,” she said. Traore said between 2008 and 2011, during the recession and housing market crash, the Food Bank saw a whole new batch of people reach out to it for the first time, due to people losing jobs and/or homes, and not being able to put food on their table for the first time. Traore and her staff are constantly coming up with up new ideas to raise money, help other organizations and businesses and educate others how to create healthy meals. In 2012, Traore came up with a creative way to help farmers in South Jersey and bring more money to the food bank — taking 850,000 pounds of bruised peaches that farmers cannot sell and throw away, and turn them into something profitable. Traore went to Campbell Soup Company, one of its partners, and asked them to create a recipe for peach salsa. The product is called “Just Peachy Salsa” and is sold at 48 retail outlets in South Jersey, including ShopRite, Murphy’s Markets and the Collingswood Farmers Market. All of the proceeds go back to the food bank. It’s all come full circle for Traore, who is doing exactly what her grandmother taught her many years ago as a young girl. To find out how to organize a food drive in your community and donate to the Food Bank of South Jersey, visit www.foodbanksj.org.